Doiy Design, Burrito Socks. 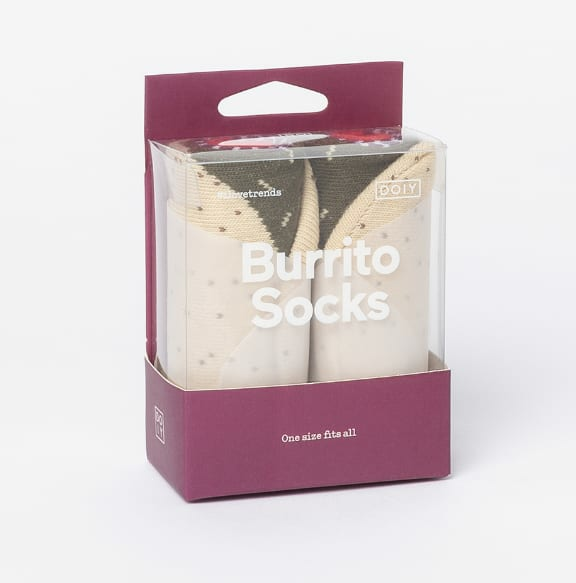 Fun and comfy pair of socks shaped as burritos. One size fits all. Catalog Ltd in Edinburgh, United Kingdom.